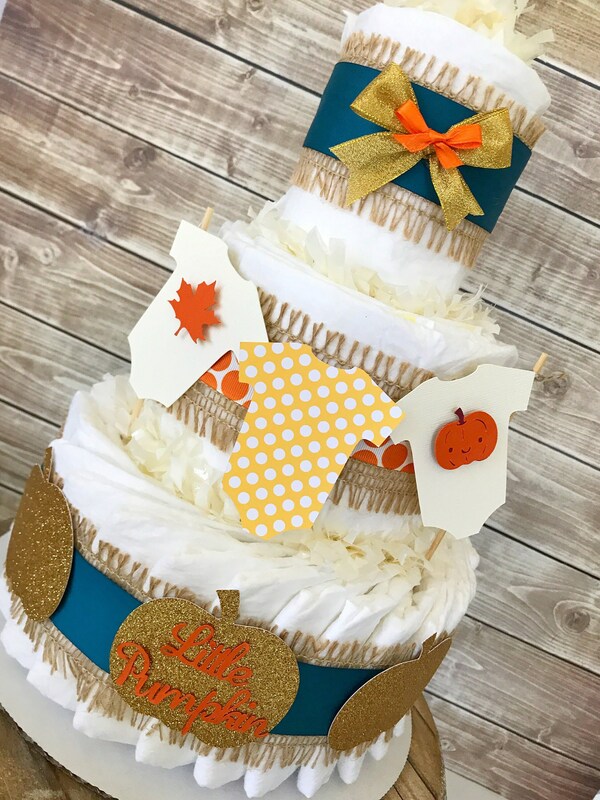 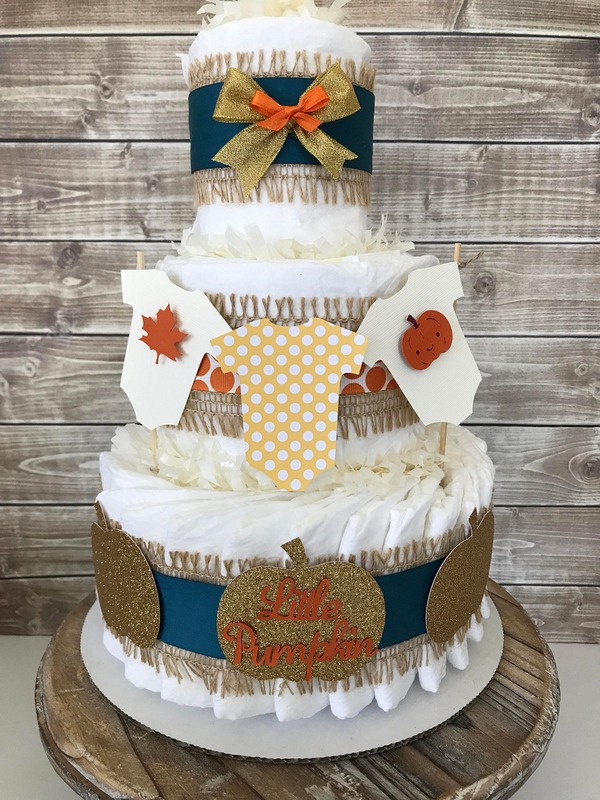 This Fall Themed Diaper Cake would make the Perfect one-of-a-kind centerpiece at the upcoming themed baby shower! 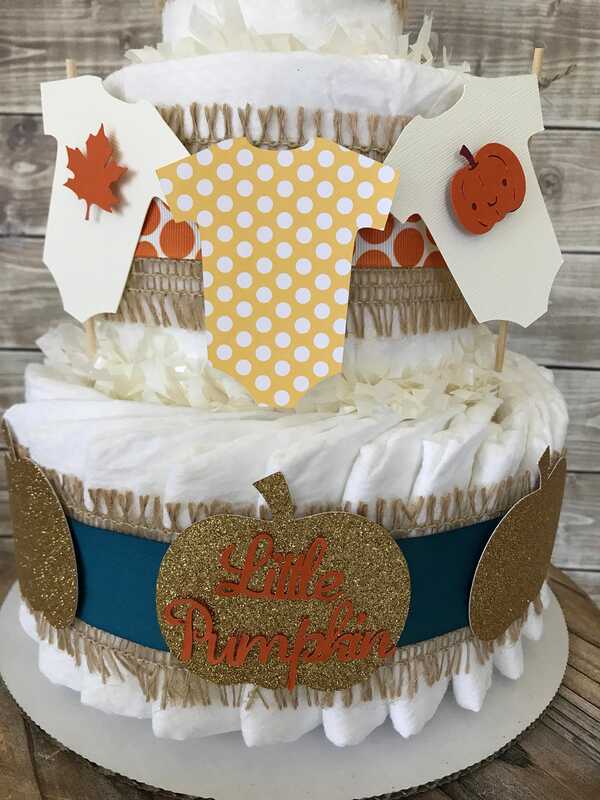 This is as described. 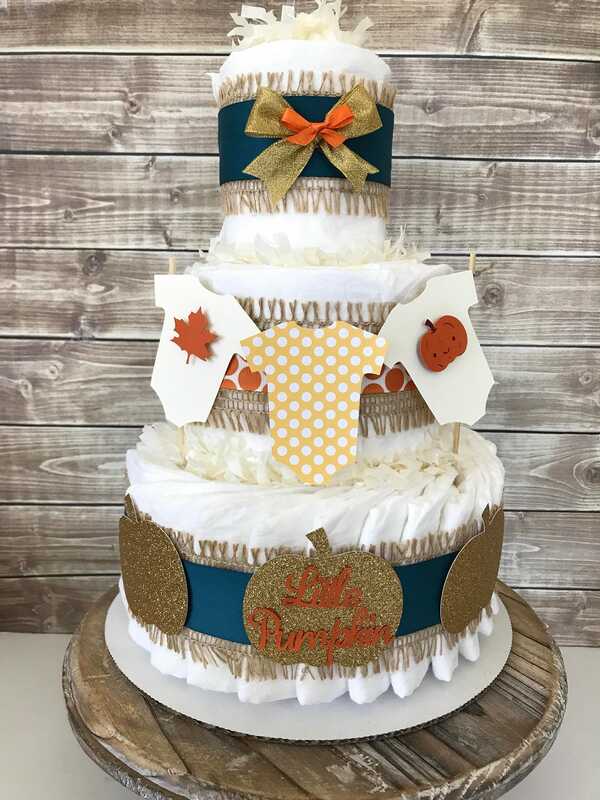 Perfect for my pumpkin themed baby shower.